PULLMAN, Wash. – When a child says, “I want a puppy!” most parents cringe. But for Jimmy and Lisa Gilder of Troy, Idaho, it was a wish they wanted to make true for their daughter. 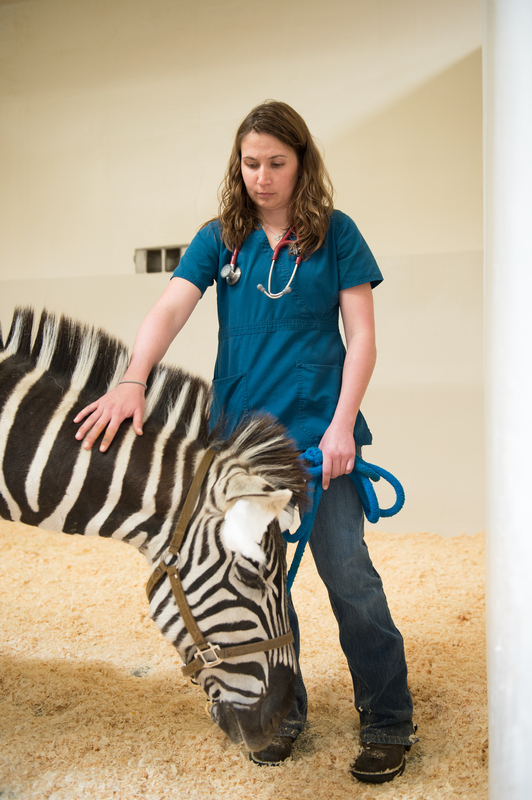 PULLMAN, Wash. – Two male zebras, Kenya and Zig Zag owned by Don Miller of City Goat Farm and Zoo in Spanaway, Wash., were patients Tuesday in Washington State University’s Veterinary Teaching Hospital. PULLMAN, Wash. – With all the heavy machinery and detection instruments being used to comb through debris at the Oso, Wash., landslide zone, there’s a small wet object getting heavy usage that deserves a closer look. SEATTLE – No one can say the 420-pound gorilla in the operating room wasn’t noticed. Vip, a 35-year-old silverback at Seattle’s Woodland Park Zoo, was given a head-to-toe physical last week by a team of veterinary specialists, including three from Washington State University. PULLMAN, Wash. – The Washington State University Veterinary Teaching Hospital will hold its teddy bear surgery clinic 10 a.m.-3 p.m. Saturday, April 12. 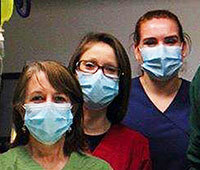 Children can bring their favorite stuffed animals, dress up in surgical clothing and assist veterinary students. PULLMAN, Wash. – Limited care for pets of homeless and low-income owners will be provided by Washington State University’s College of Veterinary Medicine 11 a.m.-3 p.m. Saturday, March 29, at the Riverpoint campus, E. 218 Spokane Falls Blvd., Spokane, Wash.
PULLMAN, Wash. – The new bird influenza spreading in China underscores the need for strong ties between veterinarians and human-health specialists, said Guy Palmer, director of the Paul G. Allen School for Global Animal Health at Washington State University. Cat craze seizes U.S. – why are feline pet numbers soaring? PULLMAN, Wash. – The Chinese Year of the Snake ended in 2013, but judging by all the tail swishing it shaped up to be the Year of the Cat. PULLMAN, Wash. – Kaylin Wells has sketched and doodled as long as she can remember. Her primary subject – horses – galloped surreptitiously across class notes, book margins and scraps of paper at school. 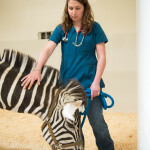 PULLMAN, Wash. – Michele Hardy knew there’d be big shoes to fill in her new job as a department chair at Washington State University’s veterinary college, but then again, “I’ve never been one to do things in small steps,” she said.